Free speech and media freedom in Europe are themes that occupy a diverse group of interests. The so-called media freedom community is composed of personalities, figures and associations that approach Article 10 of the European Convention on Human Rights (ECHR) – which guarantees precisely the right to free expression – with diverse methods and viewpoints. On March 24th, to promote dialogue between the European Court of Human Rights (ECtHR) and this group of activists, a conference was held in Strasbourg, organised by the European cooperative ECPMF (European Centre for Press and Media Freedom), of which OBC Transeuropa is a founding member. The dialogue, which analysed the evolution of the ECtHR jurisprudence and of the civil society practices with regard to Article 10, was set out in three parts. For each part there was a testimony from a journalist, a lawyer, a judge of the Strasbourg Court, an academic expert, activist or representative of the European associations that focus on free speech. The first topics up for discussion were those defined as the “classic areas” of the study of free speech, namely defamation, privacy protection and processing of personal data, with particular attention on the impact of the digital transformation of communication. Part 1 can be watched here, Part 2 can be seen here . The Strasbourg Court judge, Robert Spano, explained that “increasingly, Article 8 of the ECHR – which guarantees the right to respect for private and family life – represents a right that should be equally balanced with free expression.” As in the case of defamation laws, the laws protecting privacy are increasingly abused in order to avoid diffusion of inconvenient information, which could however be in the public interest. The themes of the balancing of rights and other judicial interests, of a proportionality assessment on the part of judges in the application of law as well as the margin of discretion left to states are concepts – the rapporteurs emphasised – in continual evolution. Moving on to themes that still need a complete codification in European regulations and jurisprudence, the second part of the ECPMF meeting focused on investigative journalism, access to public information and the protection of sources and whistleblowers . 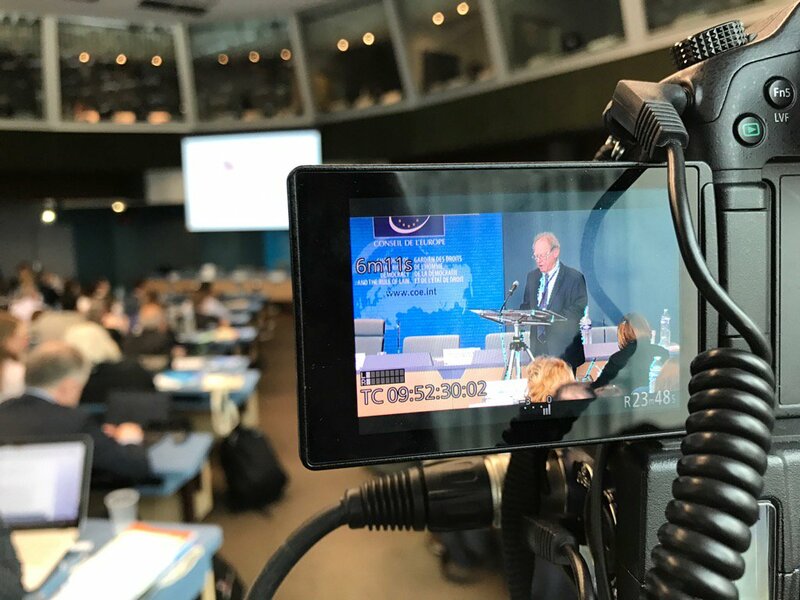 Lawrence Early, a lawyer at the European Court of Human Rights, explained the evolution of the ECtHR jurisprudence with an aim to recognise the right to receive information as an appendage to the right to free speech. Helen Darbishire, director of Access Info Europe , spoke about the role of national authorities in enforcing international standards on the access to public information. In particular, Darbishire stressed that “it is necessary that the judiciary in individual countries become more aware of European jurisprudence and standards”. If it is true that many countries are establishing regulations, transparency of public information is still far from being a reality. Next, Dirk Voorhoof – professor and member of the Executive Board of ECPMF – traced a picture of the sentences of the court relevant to the themes of access to public information and protection of sources and whistleblowers. Among others, he cited the Hungarian Civil Liberties Union v. Hungary (2009) and Youth Initiative for Human Rights v. Serbia (2013) cases. Then came Antoine Deltour, recently convicted in Luxembourg in the LuxLeaks case. Deltour was convicted for divulging confidential information on accords between certain multinationals and the Luxembourg revenue. The dialogue finally turned to the role of the media and journalists during protests. At the centre of the discussion we find the concept of “responsible journalism” – a controversial expression, as various panelists pointed out – and on the possibility (or lack thereof) of establishing a distinction between journalists who are “professional” and those who are not. This is a tough topic, especially in our information-society, where the roles of bloggers and citizen journalists are becoming ever more relevant. The discussion opened with the photojournalist Markus Pentikäinen, convicted in Finland for not keeping his distance from a protest he was covering, after being ordered by the police. His case, Pentikäinen v. Finland , is an important precedent and very controversial for Strasbourg, which found no violation of free expression on the part of the Finnish authorities. Following this testimony, Daniel Simons, lawyer for the Open Society Justice Initiative , talked about journalists' fundamental role as the “watchdogs of democracy”, especially when it comes to public protests. Thus he traced a connection between Article 11, which guarantees freedom of association, and Article 10: the first can be read in the light of the second. From the public, Mogens Blicher Bjerregård, president of the European Federation of Journalists , stressed the role of those who provide information in the public's interest, but without falling into the trap of using too rigid or exclusive definitions of “journalist”, because there first needs to be guaranteed the protection of the democratic function of this professional figure. The participants at ECPMF mentioned the importance of regular meetings like the one on March 24th, on the role of the Strasbourg Court in the evolution of the politics and national strategies concerning free expression in Europe. It is a fundamental dialogue at a critical moment for the recognition of the value of the ECHR jurisprudence for European citizens and for the Court's perception of its own role.